Dr. Suzana E. Flores is a licensed clinical psychologist, social media expert and commentator, keynote speaker and author of Facehooked: How Facebook Affects Our Emotions, Relationships, and Lives. Dr. Flores specializes in the psychological treatment of chronic pain and physical illness, the psychological effects of social media interaction and addiction, trauma therapy and applied behavior analysis. Dr. Flores received her doctoral degree from the Illinois School of Professional Psychology in Chicago, IL. She has worked as the Director of Counseling at the Illinois Institute of Art, the Rehabilitation Institute of Chicago, has experience working within the Federal Bureau of Prisons and the VA Medical Center, and most recently has worked with college students and athletes as a Senior Staff Psychologist and Clinical Coordinator of Athletics at Arizona State University. As a social media commentator, Dr. Flores has appeared on national and international newscasts, podcasts, radio and talk shows including PBS, National Public Radio (NPR), WCIU Channel--"The U," Al Jazeera, The Howard Stern Radio Network, WGN Radio Chicago, Univision Television News, MUNDO Fox, and radio broadcasts out of Germany, U.K. and Canada. She has been quoted in The Chicago Tribune, The Wall Street Journal, The Huffington Post, Men's Health Magazine, Time.com, CNBC.com, ABC.com, CBS.com, Esquire.com, and Everyday Health Magazine, among others. Areas of interest for Dr. Flores include pain management, depression, anxiety, LGBTQIA, psychological trauma, and grief or loss. Her multifaceted treatment approach combines Cognitive Behavioral Therapy (CBT) with a Psychodynamic (Interpersonal) approach. 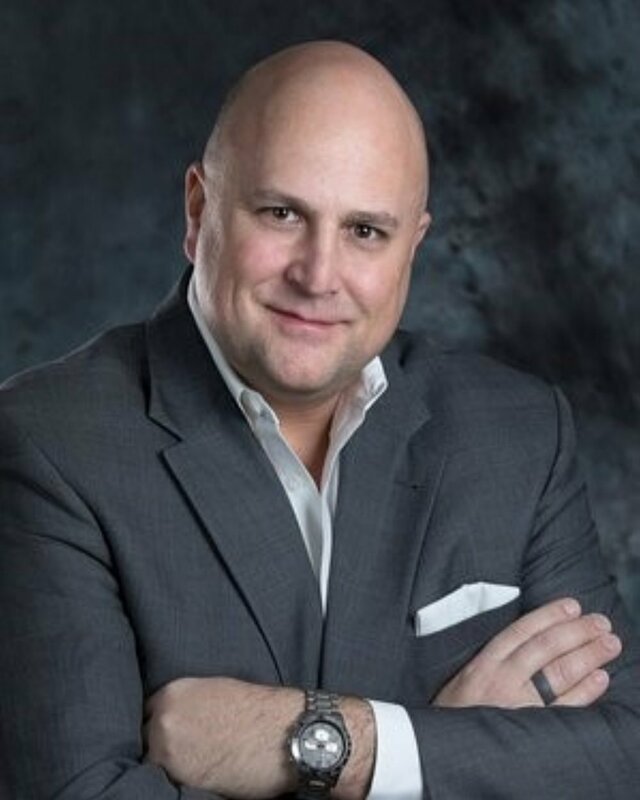 David is a Licensed Clinical Professional Counselor and National Certified Counselor who earned a Master of Science in Mental Health Counseling from Walden University and a Master of Arts in International Relations from Northern Illinois University. He earned a Bachelor of Science at Illinois State University in Political Science. David is a member of the American Counseling Association and is a Certified Facilitator for the Strengths Deployment Inventory. David has worked in private practice and in community mental health and has also provided consultative services for individuals, teams, and organizations. Specializing in relationships and conflict, David brings years of clinical, consultative, and academic expertise in multiple forms of relationship systems as well as the corollary issues of communication, perception, motivation, and interaction. David also specializes in men's health issues and sexuality and is able to work with diverse clinical populations in comprehensive yet efficient ways to achieve sustainable results. He works with individuals, couples, and families, and treats depressive and anxiety disorders, stress and trauma disorders, adjustment disorders, and addiction problems. David believes in a tailored and blended theoretical approach to therapy, one specifically designed to utilize a patient's expertise and strengths and customized to achieve their goals. David's orientation is influenced by systems theory, solution-focused theory, and narrative and cognitive approaches. David's research and writing interests include men's health, the politics of therapy, and international counseling. David also provides psychological evaluations for patients needing clearance for spinal cord stimulators and for opioid, narcotic, and other drug therapies as well as therapeutic treatment for patients suffering from chronic pain conditions and their families. 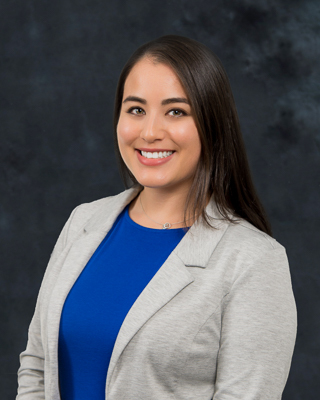 Angie is a Licensed Clinical Psychologist who completed her graduate work in San Diego, California at Alliant International University’s California School of Forensic Studies. She moved to Upstate New York to complete her postdoctoral supervised hours and begin her career as a clinical psychologist. Throughout her academic and clinical work, Angie has worked in a variety of settings, including private practice, schools, and a juvenile detention center. Having been born and raised in Japan, and then growing up in a military area such as San Diego, Angie embraces cultural diversity and enjoys working with clients of all backgrounds. Her graduate clinical experience focused on individual, group, and couples counseling. Through her postdoctoral supervised experience and work as a clinical psychologist, she discovered her true passion lies within conducting psychological evaluations, especially those in aiding to diagnose neurodevelopment disorders. Angie views her clients as service partners, and works alongside them to formulate the most appropriate treatment plan. Thus, she has an eclectic approach to treatment, and ensures the modality fits each person individually. Her ultimate goal is to impact, improve, and enrich the lives of others, and to see everyone reach their own best potentials despite current and past challenges. Dr. Sherry Craft is a Licensed Professional Counselor who holds a Ph.D. in Counseling Psychology from Washington State University and a Master of Arts degree in Community Counseling from Northern Arizona University. She earned her undergraduate degree from Arizona State University. Most of her clinical expertise and background is rooted in forensic and corrections psychology and she has provided clinical, outreach and advocacy services within various settings such as correctional facilities, community mental health centers, medical hospitals, in-patient facilities and university counseling centers. Dr. Craft’s areas of clinical interest include the following: at-risk youth, health and wellness, boy’s and men’s mental health issues, grief and loss, attachment issues, emotional dysregulation, identity concerns, professional or personal life transitions, re-integration issues, mood and personality disorders, anger issues, and PTSD/trauma/abuse. She provides individual and couples therapy, serving both adults and adolescents (ages 13-17), as well as psychological evaluations for a variety of issues, including patients needing clearance for spinal cord stimulators and for opioid, narcotic, and other drug therapies. Research, evidence-based treatments, and teaching has informed her clinical interests and approach to therapy. Her research interests have included professional ethical concerns, student leadership, multicultural issues, Veterans and posttraumatic stress disorder (PTSD), animal assisted therapy (AAT), interpersonal relationships, and adult attachment theory. She has published a peer-reviewed journal on Tarasoff case law and a book chapter entitled Navigating the distance: How to counsel clients in non-proximal romantic relationships. She has presented symposia at national and local psychology and counseling conferences, invited talks, and colloquia. Dr. Craft’s approach to therapy is an integrative process heavily influenced by three beliefs (a) all behavior is needs-driven in effort to meet our psychological needs, (i.e., belonging, connection, love) (b) emotional health is shaped by physical health and wellness, cultural and environmental factors, and (c) all interpersonal relationships operate within an attachment framework. Using a blend of cognitive-behavioral, person-centered and attachment-based theories, the collaborative goal is to identify thinking and behavioral patterns that no longer serve patients so they can start living in accordance with their values and achieve optimal wellness. Dr. Craft strongly emphasizes a multicultural therapeutic and assessment process, where being maladaptive or adaptive is considered within cultural contexts. She also serves as adjunct psychology faculty for a local private university and community college. As a resource oriented psychologist, her patients walk away with tangible tools (digital and paper copies!) to assist individuals in creating space and clarity to find strength in effort to renew, refresh or re-write life narratives. Dr. Craft aims to cultivate a holistic care environment with intention to foster an empowering therapeutic alliance where patients feel safe to honor their authentic self. The therapeutic process is not exclusively about relieving symptoms or eliminating disorders, it includes identifying the sources of our struggles and pain and transforming what we discover into sources of insight and learning, whilst holding ourselves with compassion. On a more personal note, Dr. Craft is native to Phoenix, Arizona and enjoys hot yoga, clean baking and cooking, being outdoors, and spending time with loved ones.